Much has been made about Apple’s recent changes to the iOS terms. At first, everyone was sure that many big players would be forced to pull their apps, such as Amazon’s popular Kindle app. But then Apple relaxed the rules a bit, and simply said that Amazon and others couldn’t link to their own stores from their iOS apps. Amazon complied. But at the same time, they were also working on an alternative. 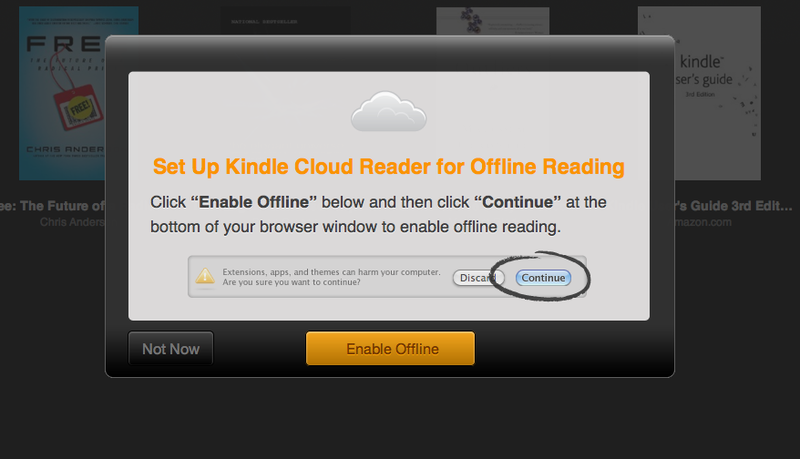 While Amazon hasn’t said anything about it yet, Kindle Cloud Reader is already live. 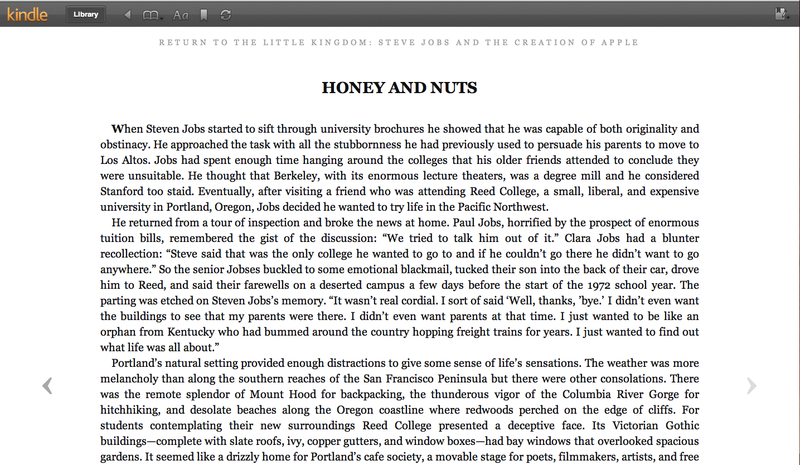 It’s a web-based version of their Kindle eBook reader app. It allows you to read your books from the cloud or to download your books for offline reading thanks to the magic of HTML 5 (or a Chrome browser extension). It looks and works great. Again, that’s something you cannot do within the iOS apps due to the new terms. However, while the iPad is supported, the iPhone currently is not. 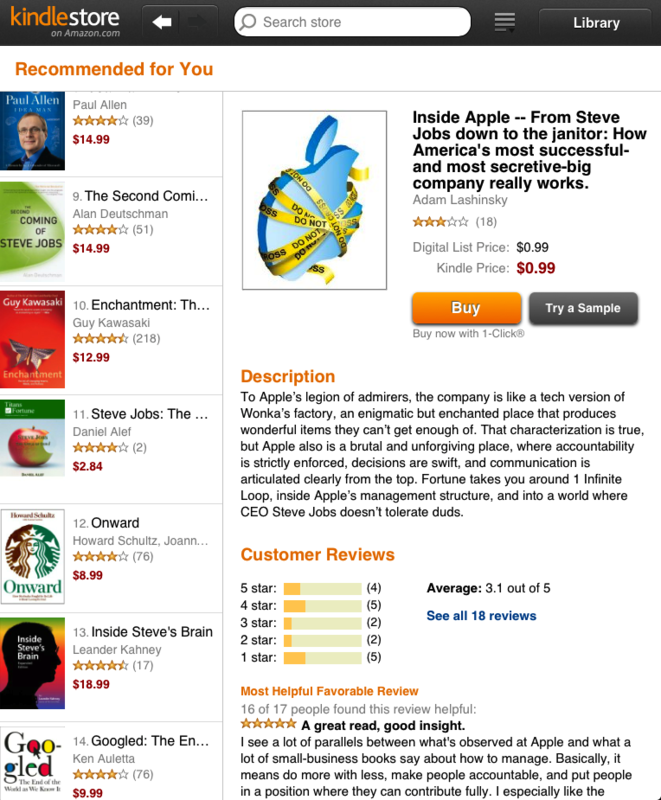 Amazon recommends you check out their free Kindle reader native app in order to read on the iPhone. Something tells me that a browser version for the iPhone is in the works as well. The iPad version is especially good because the store is fully optimized for the device. And you can easily switch back and forth between the store and your own library. It feels like a native app, but it’s not. You can even swipe back and forth to move between pages (though it is a bit slow). One thing to note is that the cloud versions (and obviously the downloaded versions) of the Kindle books are still limited to a set number of devices. So if you have your books downloaded to your Kindle, iPad, iPhone, etc, you may be over the limit and will not be able to read them in the cloud. A few weeks ago, after Apple began enforcing the new iOS terms, one eBook reader, Kobo, came out and said that they would work on a web app to bypass the restrictions. But again, others like Amazon and Barnes & Noble remained mum, and changed their apps to remove links to their stores. Turns out, Amazon was quietly doing the same thing. And now it’s ready to go. And it’s very good. 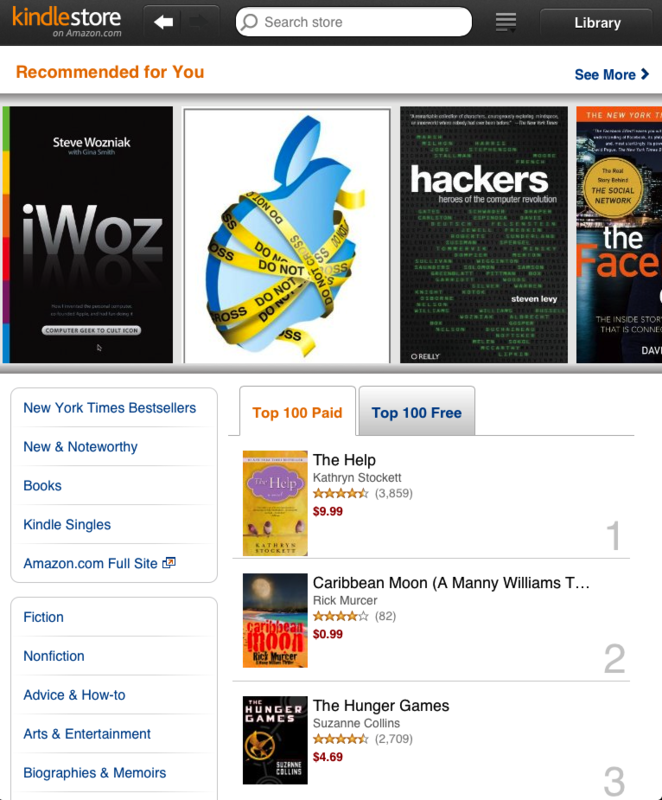 SEATTLE – August 10, 2011 – (NASDAQ: AMZN) – For over two years, Amazon has been offering a wide selection of free Kindle reading apps that enable customers to “Buy Once, Read Everywhere.” Customers can already read Kindle books on the largest number of the most popular devices and platforms, including Kindles, iPads, iPhones, iPod touches, PCs, Macs, Android phones and tablets, and BlackBerrys. Today, Amazon.com announced Kindle Cloud Reader, its latest Kindle reading application that leverages HTML5 and enables customers to read Kindle books instantly using only their web browser – online or offline – with no downloading or installation required. As with all Kindle apps, Kindle Cloud Reader automatically synchronizes your Kindle library, as well as your last page read, bookmarks, notes, and highlights for all of your Kindle books, no matter how you choose to read them. Kindle Cloud Reader with its integrated touch optimized Kindle Store is available starting today for Safari on iPad, Safari on desktop and Chrome at www.amazon.com/cloudreader. Amazon.com customers can start reading their Kindle books immediately using Kindle Cloud Reader at www.amazon.com/cloudreader.